When it comes to food, even though we love to spend our time thinking, plotting, planning, and executing large, outrageously complex meals, sometimes that gets tiring. Sometimes, all we want to do is throw some amazingly fresh herbs and nuts and oil in a blender, cook up some ramen noodles, and throw them together. And be happy, and at one with the universe. 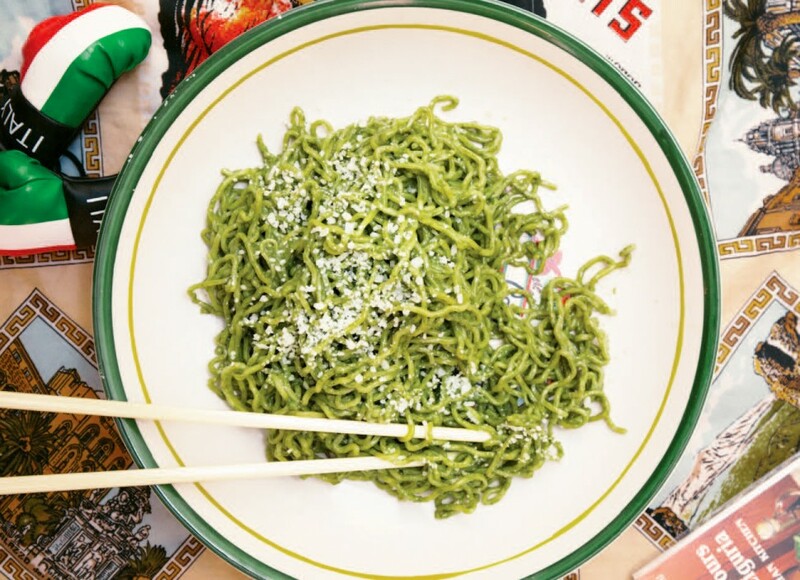 If you can get down like that, check out Lucky Peach’s Pesto Ramen recipe. It is a true thing of beauty.